Long Island, New York is surrounded by water. It is no surprise that many brides choose waterfront locations for their wedding celebrations. From North Shore Yacht Clubs to the beaches of the Hamptons, any bride can find exactly the style of venue she is searching for to host her perfect wedding reception. 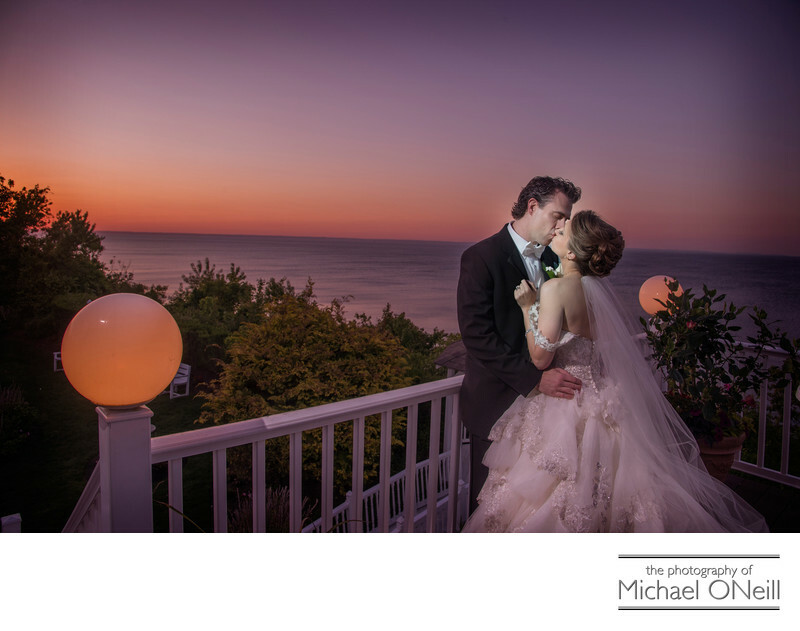 This picture was taken at sunset immediately after the waterfront wedding ceremony at Lombardi’s on the Sound in Port Jefferson, N.Y. Overlooking the Long Island Sound this amazing place offers breathtaking views of the vast body of water. As the bride and groom shared this seemingly intimate moment together they were actually being observed by a hundred or so wedding guests that were sharing this observation deck with them for a beautifull sunset cocktail hour before the formal reception dinner to follow. I have been affiliated with the Lombardi family for more than twenty years and have extensive experience working at all of their catering establishments: this one, Villa Lombardi’s in Holbrook, NY and Lombardi’s on the Bay, their other waterfront location, in Patchogue, NY.